Jeffrey B. Schankerman is a Financial Advisor with One to One Financial Advisors. He provides objective and customized insurance and investment strategies to help meet the financial needs of his clients. Jeff has been a Registered Representative since 1999 and holds designations as a CASL® Chartered Advisor for Senior Living and a LUTCF Life Underwriter Training Council Fellow. He is licensed to sell Life & Health insurance in Indiana, Illinois, Ohio, Michigan, Mississippi, and Florida, and he is Indiana and Illinois Long-Term Care Partnership certified. Jeff is a graduate of Indiana University where he received a Bachelor of Arts in Psychology with a Business concentration. He has been married to Nancy since 1989 and has two children. In his free time, he loves music, reading, gardening, vintage wristwatches and personal fitness. 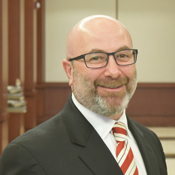 Jeffrey Schankerman is a registered representative of and offers securities, investment advisory services & financial planning services through MML Investors Services, LLC, Member SIPC (www.SIPC.org). Supervisory office 900 East 96th Street, Suite 300 Indianapolis, IN 46240 Phone (317)469-9999. One to One Financial Advisors is not a subsidiary or affiliate of MML Investors Services, LLC or its affiliated companies.